The Avenue at South Orange is a unique property in South Orange New Jersey. Here’s our most recent brochure for you to download. The brochure is in PDF format. If you don’t have Adobe Acrobat Reader, click here for a link to download. With the South Orange station around the corner it just takes minutes to get to Penn Station. 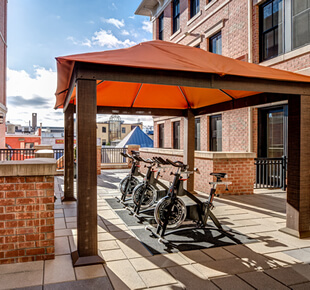 Your exquisitely appointed home is perched atop a state-of-the-art fitness studio.